Super exciting news that opens up the Black Mask universe in a really cool and interesting way – Damon Guerrero, the hero/fuckup of Liberator’s first series has found himself in a new book, in what’s now a shared universe between a few of Black Mask’s titles. Check out this article on Bleeding Cool – it’s a DEEP CUT, big time, but remember when Damon was getting letters from some shadowy organization? Well that story is now playing out in the pages of YOUNG TERRORISTS #1! Again, dear Liberator readers – Damon has returned in the pages of YOUNG TERRORISTS #1, out now from Black Mask​ – check it out! 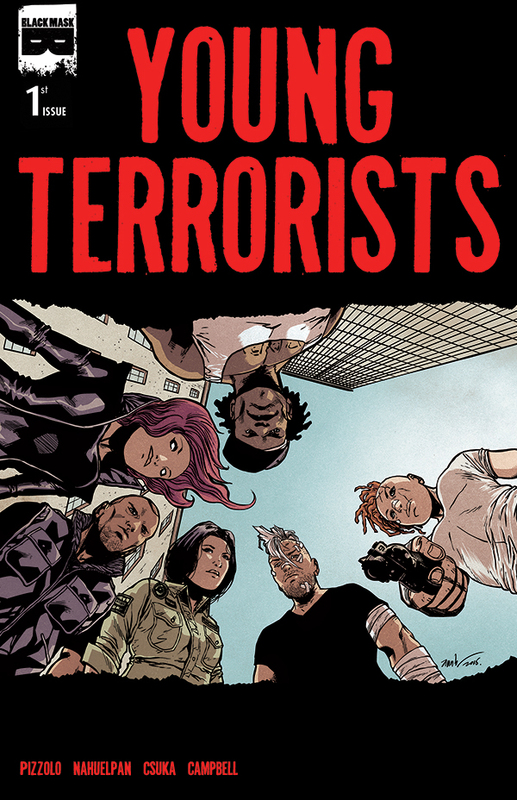 Pick up Young Terrorists at your local comic store, online at retailers like midtowncomics.com or tfaw.com, digitally from comixology.com and also you can order direct from the publisher at blackmaskstore.com! Also, Liberator! Liberator is available on Comixology now – so you can read it on the go, or send it to a friend as a gift! Anyone with an email address can receive Comixology gifts!